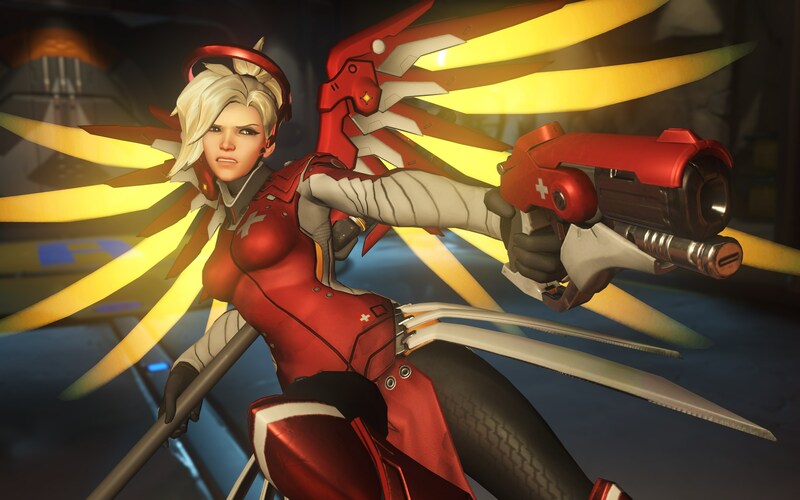 Playing Mercy, Overwatch’s Swiss field medic, can almost feel like playing an entirely different game than as if you were playing other Overwatch heroes. Mercy’s role is not to annihilate enemy heroes and do lots of damage. Position and timing is much more important in keeping other heroes alive so that they can make those massive plays. Want even more tips? Mercy legend Adam gives his top five ways to improve. 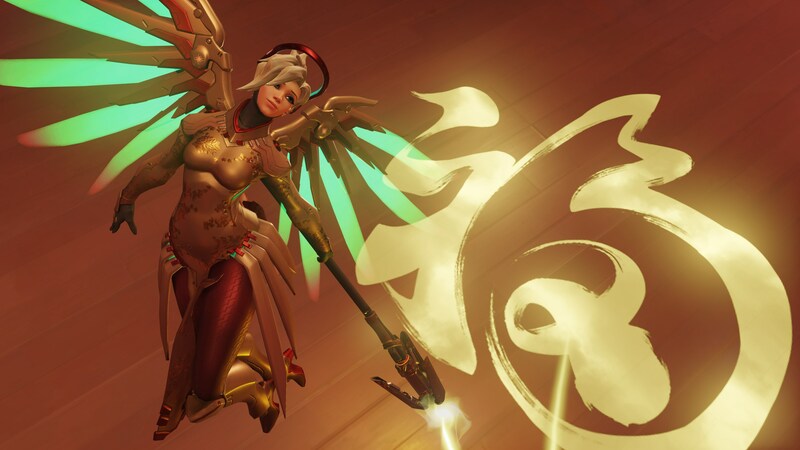 Among Overwatch’s support heroes, Mercy has seen her highs and lows when it comes to pick rates. Lucio and Ana dominated the competitive scene for some time, but an October buff to Mercy’s health regeneration—she now regenerates health after one second, rather than three seconds—could make her a viable pick in-game. And having a good Mercy on your team will be invaluable to staying alive, given she’s able to stay alive. For the enemy team, Mercy is a valuable kill. They’re going to be searching for you, which means you’re going to have to be clever with your positioning. 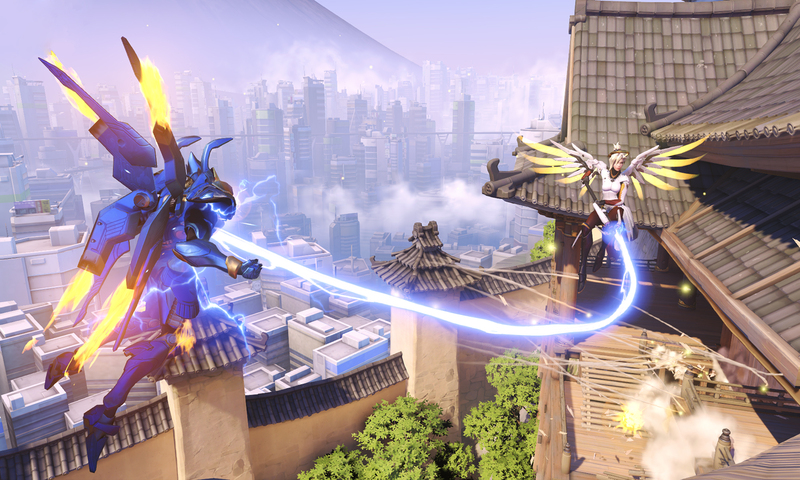 Thankfully, Mercy’s a high mobility character—as long as another teammate is in her line of sight and within 30 meters, Mercy can lock on and fly to them. This ability, called Guardian Angel, is great for helping your team, but also for escaping bad situations. It’s important to communicate with your team to ensure things go as you’ve planned, however. You want to stay behind your team and heal them from odd angles to prevent the enemy team picking you off. Staying out of range is essential. But say you’re out of position, looking to lock onto your teammate who’s hanging out in the back line. If you’re communicating, that player will know not to make any sudden rush into the fray. If you’re not, you risk locking onto a character who’s heading into a dangerous position, putting you at risk. So as Mercy, you want to stay away from enemy engagements. You already have a target on your back, so you’ve got to make sure you’re always in a spot where the enemy team won’t want to engage. And if they do, it’s a very risky situation for them. A good Resurrect from Mercy can change games. Without team communication, however, it can be hard to use correctly. Resurrecting one player as soon as they go down seems like an easy way to make use of her ultimate, but it’s really a waste of a potentially major play—unless that one hero is essential to your team. When you have Resurrect, let your team know. Signal them to group up and push the payload or point a little bit harder. This is the time when your team still needs to be careful, but can also try to bait out enemy ultimates. If they go down while still placed well, use your ultimate to resurrect those who need to be revived. If the timing is right, you’ll have revived teammates after the other team has used their ultimates, giving you the upper hand in the situation. Still, with that said, saving your ultimate to make big plays isn’t always the best idea. When the enemy team starts to think you’ve got Resurrect, you become a bigger target—a target they’re willing to risk more to wipe out. And they will. 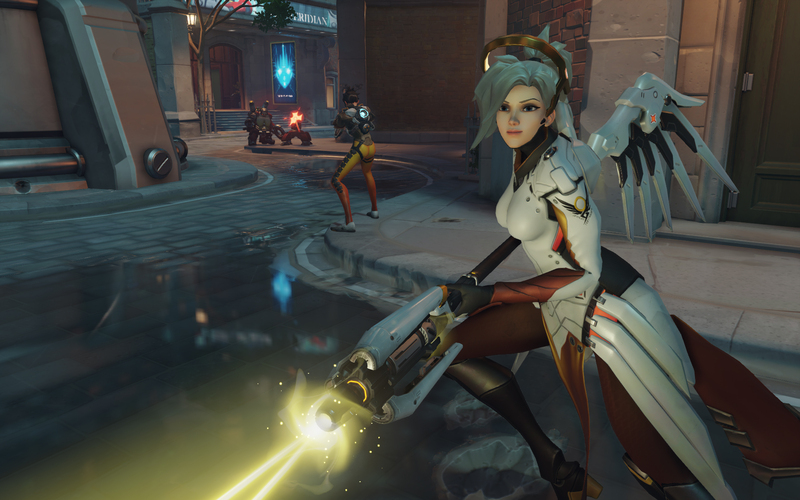 Mercy is a single healing target, as are many of Overwatch’s support heroes, meaning she can only heal one target at a time. Compare that to Lucio, who can heal multiple targets at once. This isn’t necessarily a drawback, though. 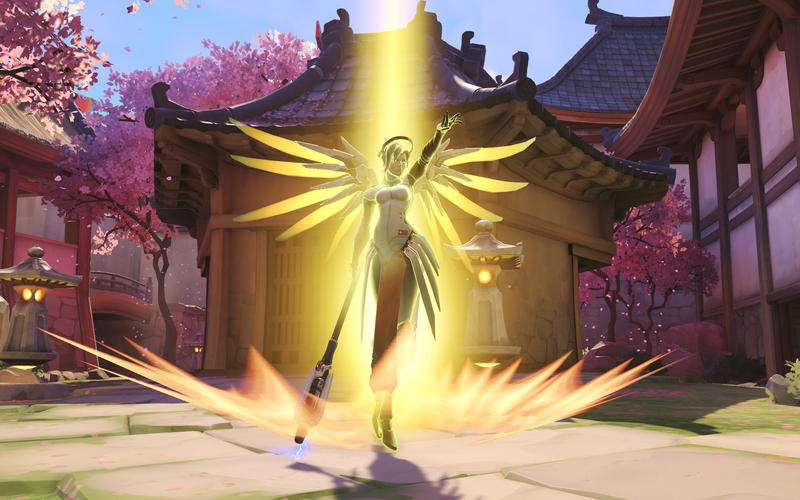 Using her Caduceus Staff, Mercy heals 60 health per second; her rate of healing is targeted and consistent, meaning she’ll have any easier time keeping specific teammates alive. Having two healers on a team makes Mercy’s job a bit easier. When all teammates are taking heat from the enemy team, try to keep everyone alive rather than restore single players to full health. Hop around from teammate to teammate, boosting their health enough that they can survive whatever damage they’re taking. Some will need more than others—that’s why Mercy players have to be paying attention to what the enemy team is doing. It’s also necessary to prioritize who gets healing based on how much of a risk it’ll be for you. A flanking hero could be spamming the “Need healing” button, but if they’re out in the middle of nowhere, it’s not worth risking your own life—especially when others nearby probably need you, too. By flying over to a teammate who can’t protect you, you risk offering up two heroes to the enemy team, putting them up two instead of just one. When the enemy team is just about to kill the hero you’re focusing your healing beam on, it feels bad. 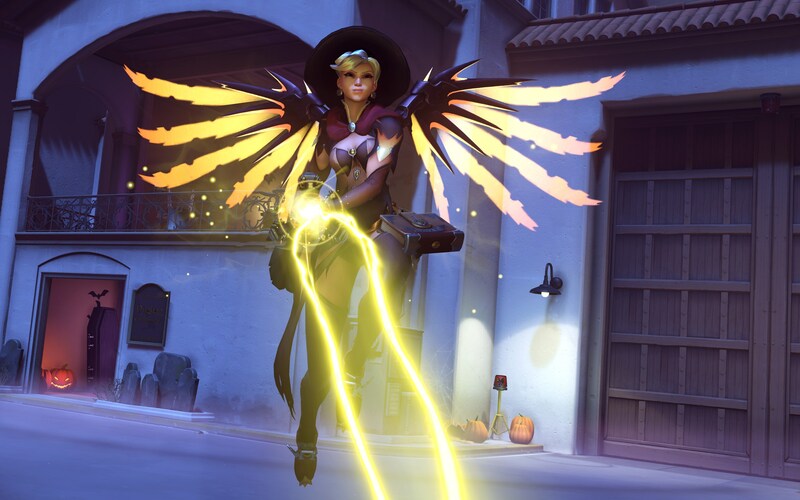 If you’re playing as Mercy and your target is about to die, you need to get away fast. As it is, the game wants you to lock on to who you’re healing. That works sometimes, but sometimes you need to fly away from them. Blizzard automatically has the Guardian Angel ability set to prioritize teammates you’re healing. However, you can turn this off. It’s really helpful, and makes getting out of fights much easier. No accidental fly-ins—you can fly toward anyone close enough, but keep your healing stream on the targeted ally. There’s also a toggle feature for the Caduceus Staff, allowing the beam to lock onto teammates with one click. That way, you won’t have to hold down on your mouse for long periods of time to keep the beam on. To switch between damage boost and healing, just one mouse click for the respective side is needed. To adjust these settings, navigate to the control page and find the individual hero options. On the bottom of Mercy’s portion, Blizzard lists the toggle functionality. Ah, a classic combination: Mercy and Pharah. Flying high in the skies, Pharah is dangerous when uncontested. Pair her with Mercy and you’ve got a tricky duo on your hands. Mercy does double duty here, keeping Pharah alive—a good enemy team will have a Soldier: 76 trying to shoot her down—while boosting her damage. And this is likely the only way you’ll see Mercy in competitive play right now. Because she doesn’t do much damage—and when she does, she has to stop healing—Mercy needs to make up for it by latching on a high damage hero like Pharah. Mobility isn’t an issue here, either. She’s able to fly around by connecting on to Pharah, staying by her side when she’s needed most. This sort of strategy is most effective in higher level gameplay due to the level of communication it needs to make it work properly. Lower level players, you’ll want to resist the urge to hang around in one hero’s pocket. But for more advanced folks, it could be a major push towards a win.